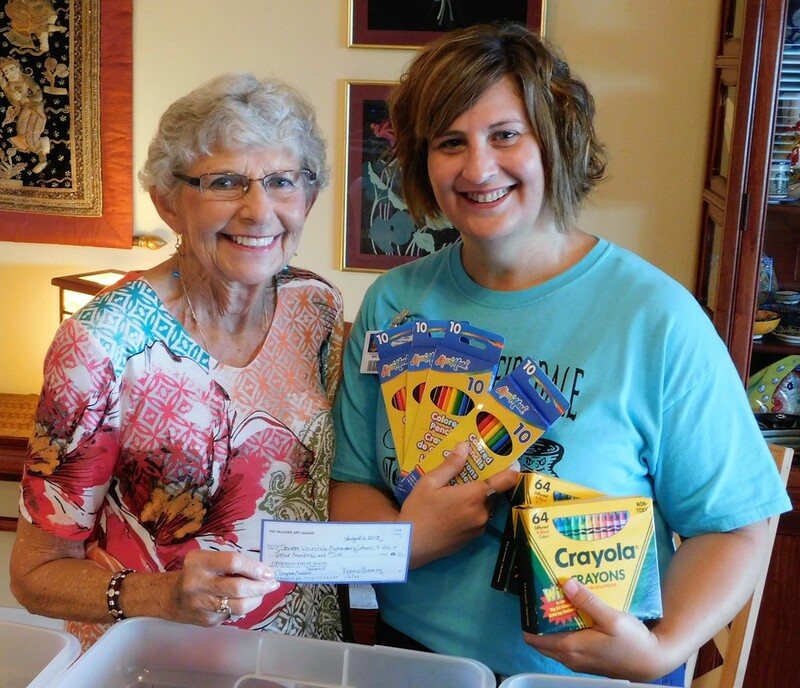 Having heard the report from the charities committee, coordinated by Dianne Zalewski, that some local elementary schools have little or no budgeted funds for art supplies for their students, VAL members agreed to donate $1000 from the League's surplus funds to be distributed along with the art supplies that members brought to the August 2018 meeting. Click here for The Villages Daily Sun's article on August 7 about the project. Following are photos of the recipients of funds and supplies. 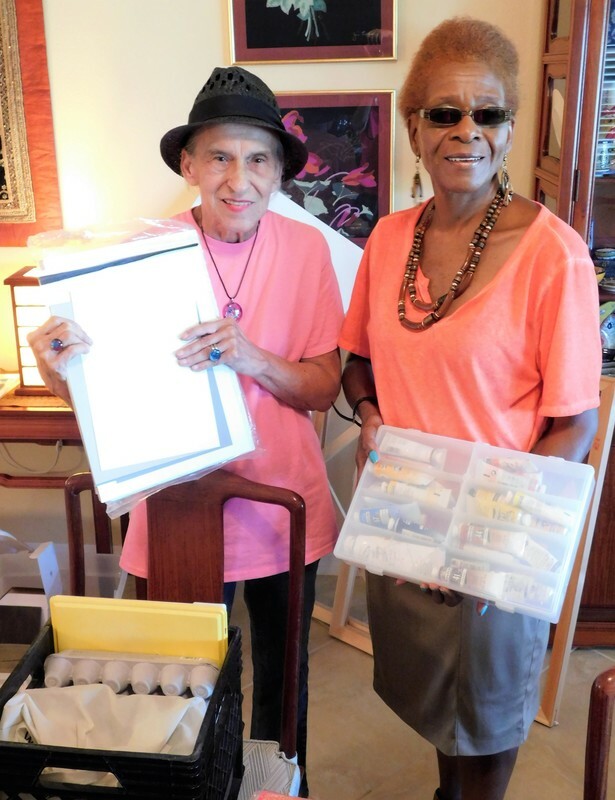 Art supplies generously donated by VAL members to make sure students get off to a good start. 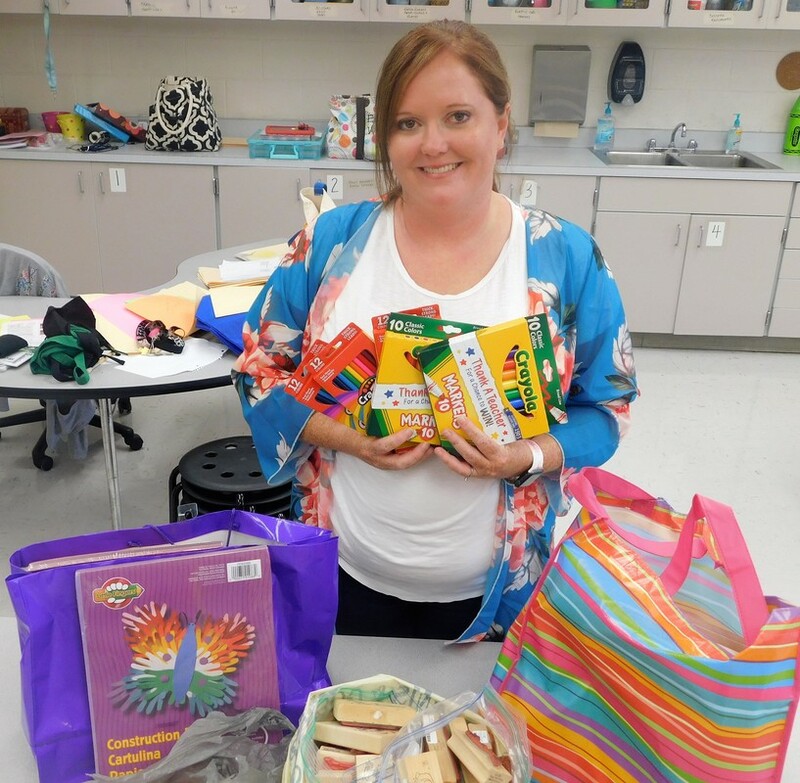 Pamela Hansard, Art Teacher at Fruitland Park Elementary School. Marge McQueston with Deborah Tannehill, Art Teacher at Sharon-Weirsdale Elementary School. Beverly Steele, Director, and Carol Applegate, Art Teacher, at Young Performing Artists. Extra art supplies were donated after the initial collection. They were delivered to Brooke Hwong, the art teacher at Lady Lake Elementary. She was absolutely delighted and was sure that her students would be very grateful. Brooke Hwong, Art Teacher at Lady Lake Elementary School.